Enter your email address below to receive a notification when Comic Mystery Box starts accepting new sign-ups! Enter your email address below to receive a notification when Comic Mystery Box is accepting new sign-ups again. FAST, FREE SHIPPING IN USA. 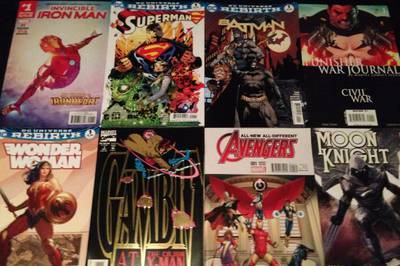 Order today and your box of 15 comics will arrive in 2-4 days. You'll get a new box approximately every 30 days thereafter until you cancel. Box arrives in 2-4 days with fast, free shipping! Get 15 collector's comics - new issues, back issues, #1 issues, and variants. At least $60 worth of comics in every box. 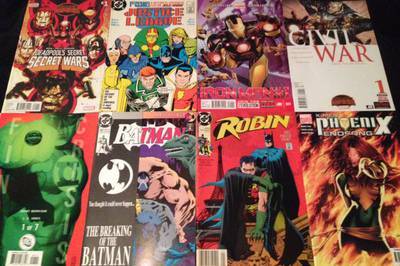 All comics are first prints in new condition. Message us a list of your favorite characters and we'll try to include them. Best value of any comic box - don't settle for less than 15 comics! Best gift by far for comic book fans! Tell us your favorite characters and we'll try to include them in your box. Some comics date back 30-40 years. Vintage, baby! 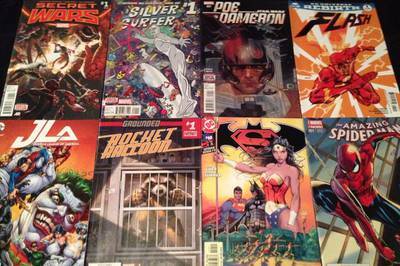 At least one variant edition comic guaranteed in each box. 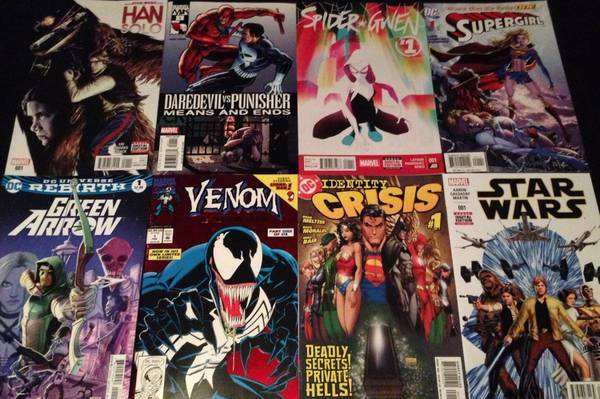 Why settle for less than 15 comics? Get the best value with Comic Mystery Box! Received lots of my favorite titles and some great covers. Not usually the type to review things, but this really deserved it! Love the box! I always get something new and it is perfect for a newbie collector. My nephew loved this box! I bought this as a gift for my nephew and he loved it! His dad called me and we chatted about comic books for a while! Great gift, really fun!